One of the most common theories regarding running is that you cannot run and build muscle mass at the same time. 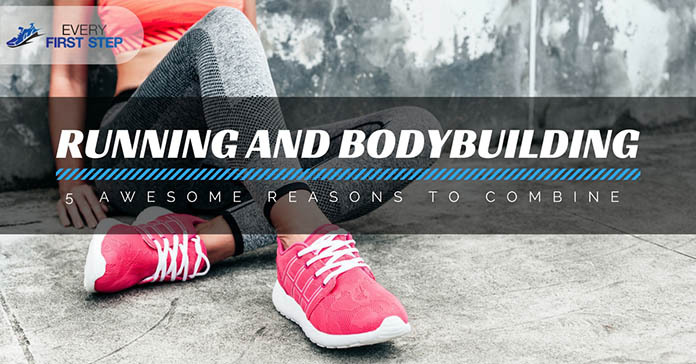 If you are a body builder who wants to explore running as an alternative kind of workout, you need to know the connection between running and bodybuilding. On the other hand, if you are a runner who wants to build muscle, understanding how to run in a way that doesn’t cause muscle reduction is essential. In this article, we will list five reasons why combining the two is a great idea. We will also show you how to prevent negative effects running has on bodybuilding. There is a direct link between fat levels and estrogen production in both men and women. The hormone testosterone which plays an important role in muscle growth is also produced during sleep. Running makes your heart work harder to transport blood to your body. This increased demand on your circulatory system has many benefits. With the increased energy derived from a good functioning circulatory system, you will have more energy for your gym workouts. In addition, your muscles will get the nutrients they need enabling you to build muscle faster. According to scientists, aerobic exercising such as running can reduce anxiety and depression. This is attributed to the increased blood circulation and the effect this has on the on mood. (8) Running is a good way to build your mental power which will greatly influence your entire body building efforts. Running also helps boost confidence levels as you gain determination and endurance after each run. In a way, running helps build muscle from within. These are five of the benefits anyone including body builders can get from running. The issue many have however is the fear of injury and the fear of muscle loss. Although these are understandable fears, there are simple ways you can reduce your risk of injury and losing muscle. Here are 2 tips. The issue of muscle loss can be prevented by select the kind of runs you go on carefully. The first tip is to engage in long distance, low intensity runs. These runs promote a low heart rate without exerting too much effort. Twice a week, do a run for half an hour to an hour being careful not to run too fast. The way to test that you have the right pace is to try and talk as you run. A low-intensity run enables you to talk without having to gasp for breath. Another benefit of low-intensity running is it allows your muscles to recover without putting too much strain on them. The another good idea is interval training. This involves alternates of 30 minutes sprints with moderate runs. The technique makes use of intervals of rest for recovery. A great benefit of running intervals is that they are time efficient taking only about 20 minutes. A precaution though is to only do these at most twice a week to prevent injury. Running as a bodybuilder means having a bigger load to carry around which increases your risk of injury. With your weight slamming on the ground with every step, your tendons and joints are put under a lot of pressure. The way to combat this is to run with the form that promotes less impact. Using the right form is the easy way to prevent injuries so pay attention to this. One thing that should be remembered always is never to run the same day of your leg lifting routine. This will hinder muscle growth because you need a recovery period in between. On the other hand, it is also not recommended to run before doing weights. This will only reduce the energy you have for your weights. If you want to run on the same day you do your weights, then the best option is to take a 30-minute break after your workout, refuel with some carbs and then run. Lastly, always be in contact with your body and know when you are in danger of injury.